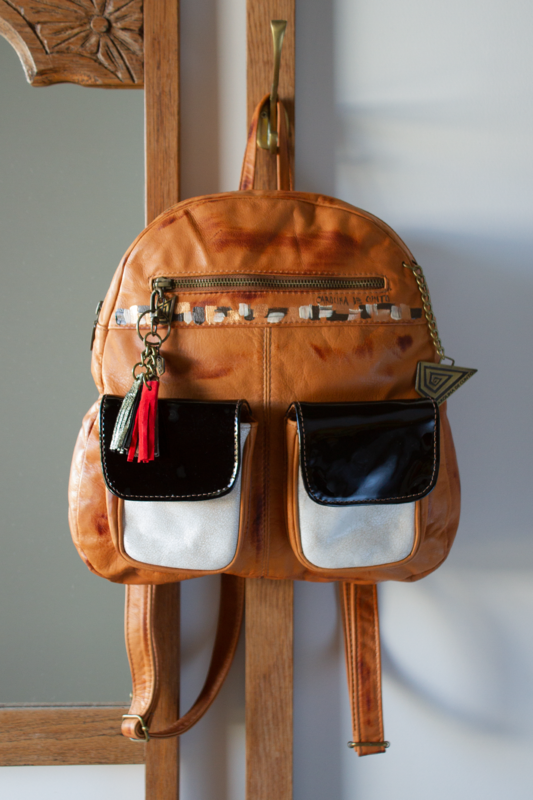 Don't miss this round design leather backpack in extra soft leather. Many pockets in different sizes. Flap for pockets in the front gives this backpack elegant wear. Fully lined with Carolina's design pattern fabric. Comes with a tassel with flowers in colors to match. 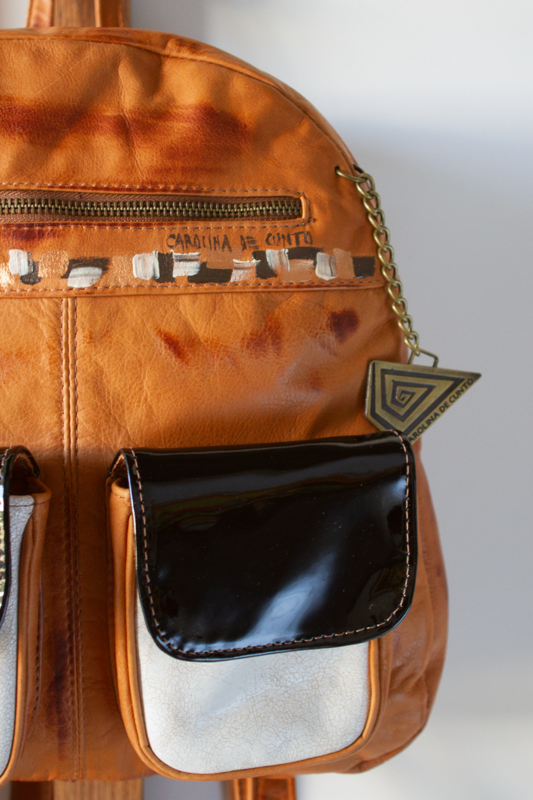 This leather backpack is 100 % finished top quality, handmade selected bovine leather. - Available color: Super soft terracotta color with tan patina finish. Black and white pockets. Art made by hand.